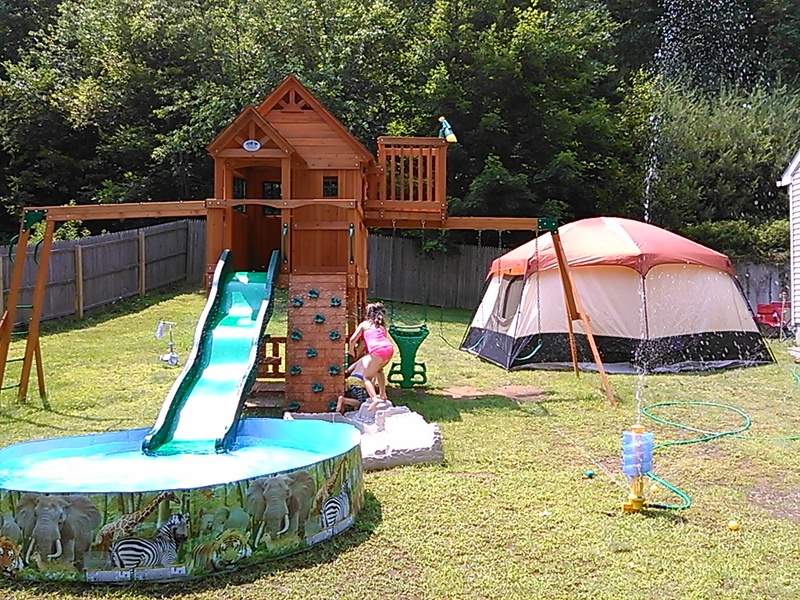 Who says that your yard can't be turned into a water park? 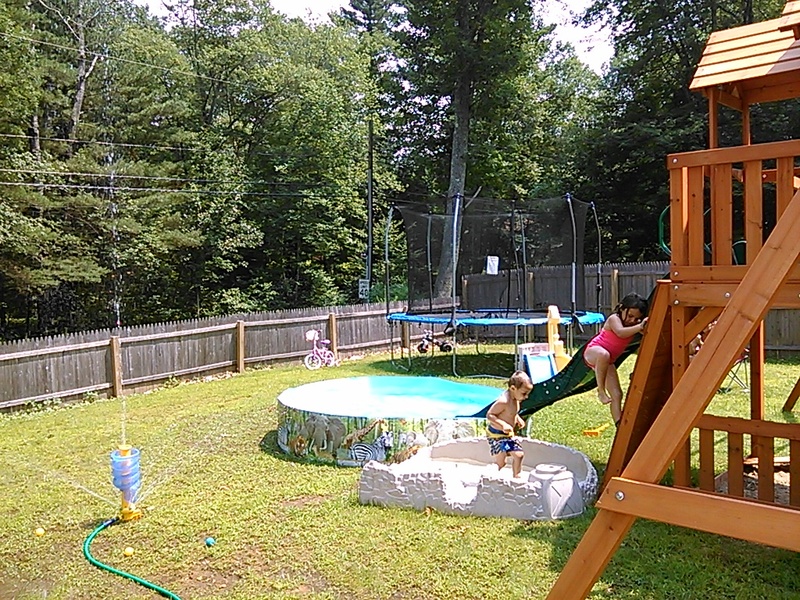 With a sprinkler, a couple of old unused sandboxes, a small pool, and the slide off the play set; We turned the yard into an adventure! Always remember, especially with pools and slides, safety first! 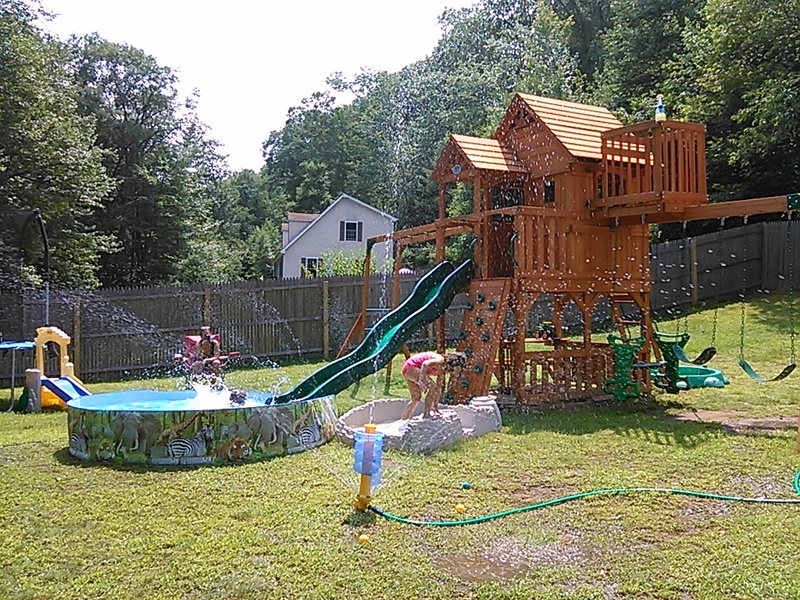 And there you have it, hours of fun for your kids!